Following yesterday’s update to iOS 5.0.1 for the iPhone 4S handset and its apparent lack of specific changes, Cult Of Mac and well-known jailbreak hacker MuscleNerd revealed on Thursday that the update allowed a user to collect the files needed for a Siri port without having to break Apple’s copyright, the report noted. “It’s the first public 4S ipsw where the main filesystem keys are obtainable (due to non-encrypted ramdisks),” said MuscleNerd. But, given that Siri requires communication with Apple’s servers to function, it’s not immediately clear whether a port of the virtual voice assistant would fit within all applicable terms of service and license agreements for the device in question. A number of members of the jailbreak community have been hard at work trying to port Siri to other devices. In late October, two hackers claimed to have gotten a limited functionality version of Siri working on a jailbroken iPhone 4 and iPod touch. Doing so, however, required custom information from an iPhone 4S device. Also, Apple has warned that jailbreaking an iOS device may void its warranty. 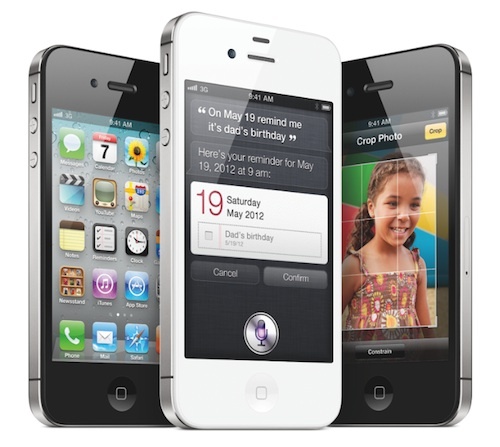 Apple released Siri as an exclusive feature for the iPhone 4S after acquiring the app last April. The Siri team has since grown to become one of the largest development teams at the company. Full Siri functionality may also require minor hardware modifications. A teardown of the iPhone 4S revealed that the proximity sensor on the handset has a new infrared component built to work with Siri’s raise-to-speak feature. Google to Launch Siri Rival Soon? Google to Launch Siri Rival Soon? : “ Apple’s artificial intelligence agent Siri was one of the key new features in the iPhone 4S. The impressive system has generated a lot of publicity and has put voice recognition technologies back into the forefront. Many companies are expected to integrate more voice enabled applications in the coming year. Google’s Android has long had voice dictation and command capabilities, but the company seems to be stepping up their efforts in the coming months. AndroidandMe reports on a secret project codenamed Majel which is meant to be an evolution of Google’s Voice Actions with the addition of natural language processing. This natural language processing is what gives Siri an edge over other simple voice recognition systems. The metaphor I like to take is – if it’s Star Wars, you have these robot personalities like C-3PO who runs around and he tries to do stuff for you, messes up and makes jokes, he’s kind of a comic relief guy. Our approach is more like Star Trek, right, starship Enterprise; every piece of computing surface, everything is voice-aware. It’s not that there’s a personality, it doesn’t have a name, it’s just “Computer.” And you can talk to it and you can touch it, you can interact with it at the same time as you talk with it. It’s just another way to interface with the computer. The codename “Majel” comes from Majel Barrett-Roddenberry who voiced the Federation Computer from Star Trek. Even with the myriad of very good note-taking and writing apps available on the App Store, one favorite that has remained a constant for me for years is Evernote. There are other apps that I much prefer for pure writing, but Evernote has always been and still is my go-to place for ‘remembering everything’. So it’s still an incredibly useful destination for notes. And now on the iPhone 4S and thanks to the ever-so-helpful Siri, it’s easier than ever to create a quick note in Evernote. To do so, you just ask Siri to send an email to Evernote, tell her the email subject and body text, and let her send it off for you. It will land in your default Evernote notebook on next sync, or near instantly if you do a manual sync. – If you haven’t already done so, create Evernote as a contact in your address book – with your incoming Evernote email address. You can find this in the iPhone or iPad app under Settings > Evernote email address, or in the desktop app under Evernote > Account Info. – Then just launch Siri and ask her to ‘Send email to Evernote’ or just ‘Email Evernote’. She’ll ask you for subject and body and if you want her to send it. 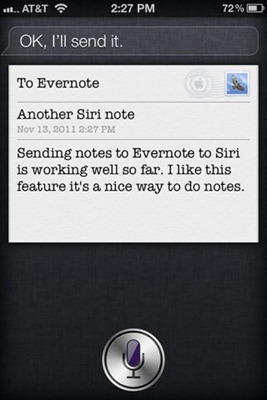 Siri + Evernote is a very nice and powerful way to create quick notes on the iPhone 4S. Hat tip to the Evernote Blog for the tip on this. Apple introduced the iPhone 4S last month, one of the major new features being Siri, a voice-controlled assistant. Since it’s introduction it has been questioned as to whether this feature needed the iPhone 4S’ faster A5 processor to function. That doesn’t seem to be the case. After it was discovered that Siri can function on older generation devices, speculation has arisen that Apple would bring Siri to those devices. Well, that doesn’t seem to be the case either. Engineering has provided the following feedback regarding this issue: Siri only works on iPhone 4S and we currently have no plans to support older devices. 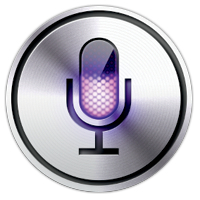 Of course it seems likely that Apple would bring Siri to future iOS (maybe even Macs) devices in the future. But Apple hasn’t made any announcements about the future of Siri, and I wouldn’t expect to hear anything either. Dictating text to Siri on the iPhone 4S is great for regular speech and common words, but what about names that probably have to be spelled out to be accurately dictated? App and accessory names can get quite ridiculous when trying to dictate quick posts on the iPhone or iPad (using Dragon Dictation), and so one trick I started using earlier this year was to use placeholder words that I would probably never use in the main body of my text. For reasons that are simply too stupid to explain, I chose Pegasus as my codeword. So instead of trying to spell out iMain Go X several times in a single post, I simply say Pegasus in its stead. The last part of this tip is probably the most unintuitive because it can’t actually be accomplished on iOS device. When I’m finished dictating and editing the post on my device, I send the text over to my Mac where I use a find and replace command in an app like TextEdit for all instances of Pegasus, turning each instance into the name of the product I’m talking about in the post (ex. GOF2HD). This certainly isn’t the best or simplest workflow, but I have found it useful for allowing me to dictate more complex or unusual names with relative ease. iPhone-Ticker.de points us to a hands on demo video of Siri on the new iPhone 4S. Siri is Apple’s new voice assistant that is designed to provide you with some voice-only capabilities on your iPhone 4S. Besides some serious examples, the reviewer also asks some silly questions and statements including “How Old Are You” and “I Love You”. The reviewer also briefly walks through some of the other iOS 5 features. iOS 5 (without Siri) will be launched on October 12th. Siri is an iPhone 4S exclusive feature. The iPhone 4S will be officially launched on Friday, October 14th. I was having a few problems with my 4S pre-order earlier today, and so I decided to head out at 10:15 in the morning to try my luck at the Apple Store in the Eaton Centre. I’d heard of line-ups of at least 40 people at 6:30 PM on Thursday, and so I tried to keep my expectations low. However, I was pleasantly surprised to find out that there were still 32GB iPhones left over, and, furthermore, that the line for said iPhones was really only an hour long. That’s an hour from the time I stood in line to the time I walked out with an activated iPhone 4S. Not too shabby! After a day of playing with the latest-gen device, the three takeaway points are “Bloody hell, this kills the 3GS” and “Ooo, it fits in my Original iPhone dock!” and “Siri, I love you”. The first two points are ridiculously obvious, and while the third point is already a little worn by this point, I’d like to address it anyway, because there are simply so many directions in which to take Siri. Siri, as has been pointed out by Shawn Blanc, could be the fourth great Apple interface after the mouse, click wheel, and multi-touch display. It is also, as stated by John Gruber took in his iPhone 4S review, “a completely different interface for interacting with your iPhone”. Siri isn’t just Voice Command Plus or built-in Dragon Dictation – it’s a fantastic new way of interacting with data on the iPhone. There are ten gajillion apps available for the iPhone at this point, and many of the more enthusiastic iPhone users have already replaced default apps like Notes, Weather, and Calendar for prettier or more powerful third-party versions. However, now that you can both access and add to many of Apple’s default apps through natural language, there’s suddenly a great reason to give these older apps another shot. Even if you don’t want to use Notes for drafts and keeping account information, it now handles lists beautifully through Siri. Then, as is wont to happen, you do a whole bunch of other stuff and don’t have time to add to your note until two days later. By this point, you’ve told Siri many other things and the context for the note has been lost…or has it? These aren’t just alternate ways of accessing your information, but completely new filters for drilling right down to the content you want. I also love how you can check for new messages by just asking for them. Siri can save time by letting you talk instead of tap – and this can be a dramatic difference in certain apps. It normally takes three taps and one swipe to set a timer in the Clock app, but Siri boils it down to just one. It’s an even more dramatic difference when you consider the Reminders app and all the taps you save for creating a task, naming it, setting an alert, and then saving it. The other thing that occurred to me after just one day with Siri is how beautifully it allows me to do other things without breaking my concentration. Using Siri to reply to a message, re-schedule an appointment, or quickly retrieve information from Wolfram Alpha never requires me to leave the app that I’m in. I simply summon Siri, get something done, and return to my application. I think it will take a while to get used to Siri’s presence and take full advantage of my new humble personal assistant, and I’m still freaked out every time it says “Thomas”, but I’m really looking forward to the way it will change my thinking and my workflow. I also really, really, really hope this technology hits the iPad in a few months time.